A recent analyst report made an astute observation that all marketers should consider: It’s not about “digital marketing” anymore – it’s about marketing in a digital world. The nuance there is subtle, but the underlying truth is huge. The world has changed for marketers, and it’s more complicated than ever. Most consumers spend more time on web-connected devices than television, creating a fragmented media landscape where attention is divided by multiple devices and thousands of addressable media outlets. For marketers, the old “AIDA” (attention, interest, desire and action) funnel persists, but fails in the face of the connected consumer. When television, print and radio dominated, moving a consumer from product awareness to purchase had a fairly straightforward playbook. Today’s always-on, connected consumer is on a “customer journey,” interacting with a social media, review sites, pricing guides, blogs and chatting with friends to decide everything from small supermarket purchases to big investments like a new house or car. Marketers want to be in the stream of the connected consumer and at key touch points on the customer journey. But, in order to understand the journey and be part of it, they must be able to map people across their devices. This is starting to be known as cross-device identity management (CDIM), and it is at the core of data-driven marketing. In short, identity lies at the heart of successful people data activation. Until very recently, managing online identity was largely about matching a customer’s online cookie with other cookies and CRM data, in order to ensure the desktop computer user was aligned with her digital footprint. Today, the identity landscape is highly varied, necessitating matching ID signals from several different browsers, device IDs from mobile phones and tablets, IDs from streaming devices and video game consoles and mobile app SDKs. Matching a single user across their various connected devices is a challenge. Matching millions of users across multiple millions of devices is both a big data and data science challenge. Real one-to-one marketing is only possible when the second party – the customer – is properly identified. This can be done using deterministic data, or information people volunteer about themselves, in a probabilistic manner, where the marketer guesses who the person is based on certain behavioral patterns and signals. Most digital marketing companies that offer identity management solutions take what data they have and use a proprietary algorithm to try and map device signals to users. The effectiveness of device identity algorithms depends on two factors: the quality of the underlying deterministic data – the “truth set” – and its scale. There is data, and then there is data. The old software axiom of “garbage in, garbage out” certainly applies to cross-device user identity. Truly valuable deterministic data include things like age, gender and income data. In order to get such data, web publishers must offer their visitors a great deal of value and be trusted to hold such information securely. Therefore, large, trusted publishers – often with subscription paywalls – are able to collect highly valuable first-party user data. Part of the quality equation also relates to the data’s ability to unlock cross-device signals. Does the site have users that are logged in across desktop, mobile phone and tablet? If so, those signals can be aggregated to determine that Sally Smith is the same person using several different devices. Publishers like The Wall Street Journal and The New York Times meet these criteria. In order to drive the best probabilistic user matches, algorithms need huge sets of data to learn from. In large data sets, even small statistical variances can yield surprising insights when tested repeatedly. The larger the set of deterministic data –the “truth” of identity – the better the machine is able to establish probability. A platform seeing several million unique users and their behavioral and technographic signatures may find similarities, but seeing billions of users will yield the minuscule differences that unlock the identity puzzle. Scale breeds precision, and precision counts when it comes to user identity. As digital lives evolve beyond a few devices into more connected “things,” having a connected view of an individual is a top priority for marketers that want to enable the one-to-one relationship with consumers. Reliably mapping identity across devices opens up several possibilities. Global Frequency Management: Marketers that leverage multiple execution platforms, including search, email, display, video and mobile, have the ability to limit frequency in each platform. That same user, however, looks like five different people without centralized identity management. Many marketers don’t understand what ideal message frequency looks like at the start of a campaign, and most are serving ads far above the optimal effective frequency, resulting in large scale waste. Data management platforms can control segment membership across many different execution platforms and effectively cap user views at a “global” level, ensuring the user isn’t over-served in one channel and underserved in another. Sequential Messaging: Another benefit of cross-device identity is that a user can be targeted with different ads based on where they are in the consumer journey. Knowing where a consumer is in an established conversion path or funnel is a critical part of creative decisioning. Optimizing the delivery of cross-channel messages at scale is what separates tactical digital marketers and enterprise-class digital companies that put people data at the heart of everything they do. Customer Journey Modeling: Without connecting user identity in a centralized platform, understanding how disparate channels drive purchase intent is impossible. Today’s models bear the legacy of desktop performance metrics, such as last click, or have been engineered to favor display tactics, including first view. The true view of performance must involve all addressable channels, and even consider linear media investment that lacks deterministic data. 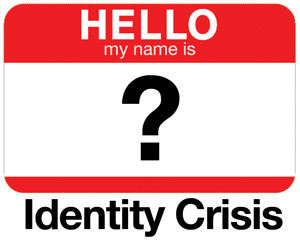 This is challenging but all but impossible without cross-device identity management in place. The ubiquity of personal technology has transformed today’s consumers into “digital natives” who seamlessly switch between devices, controlling the way they transmit and receive information. Marketers and publishers alike must adapt to a new reality that puts them in control of how editorial and advertising content is accessed. Delivering the right consumer experience is the new battleground for CMOs. Unlocking identity is the first step in winning the war.